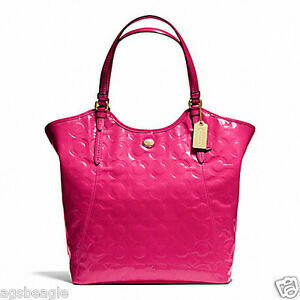 · All Coach Handbags are guaranteed 100% authentic or Money Back Guarantee. · Everything I sell are sourced directly at Coach Factory Outlets in the US. Embossed patent leather.